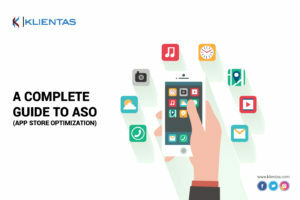 Around 90 percent of marketers are familiar with the term SEO, simply search engine optimization, but a few of them had heard about ASO.ASO is nothing but app store optimization. Both ASO and SEO are interconnected in too many ways. In SEO we are optimizing our website for search engines like Google, bing and so forth to increase traffic to our sites. Similarly, in ASO we will optimize apps for play store. In this article, we are going to delineate everything you want to know about ASO. ASO (App store optimization) is the process of optimizing your apps for a higher rank in the app store. It will increase the visibility of your app to relevant users on the app store and thereby resulting in increased downloads. The main goal of ASO is to increase traffic to the app pages. There are more than 2 million apps available on the app stores. This reduces the visibility of your app and makes competition tougher. Search is the most common method used to discover an app from the play store, therefore optimizing your app for search will be the best tactics you can utilize to improve visibility.ASO is the best method used for this. It is similar to search engine optimization for the website. ASO will increase the visibility of your app in the play store. It will help to optimize your app for particular keywords. As a result, your app will get higher ranks in apps store. This, in turn, results in increased traffic to your app page. If your app is monetized one, then increased traffic and app downloads will significantly increase your revenue. App downloads occurred as a result of paid promotion is temporary. It will stop when you will run out of money. In this case, organic app downloads will help you. Organic app downloads will bring stable revenue continuously. Descriptive title and app store description plays a vital role in ASO . These two elements are primarily used to optimize your app for the audience. A good and descriptive title and description definitely attract more people and thereby increase app downloads. Selection and distribution of keywords play an important role in ASO. You can select keywords with the help of keyword planners. These keywords have to be included in app title and app description. App with the keyword included in its title has a 10.30% chance to get a higher rank when compared with similar apps. Try to avoid keyword stuffing while optimizing your app. For optimizing traffic sources, first, you have to identify your target audience. Your app gets traffic mainly through three sources, that is organic search, paid promotion and cross promotion. First, you have to analyze your potential customers using analytics tools like app store connect. Afterward you can optimize your app for the traffic source that gives you higher traffic and better revenue. A good video has the ability to boost your CVR to 40%. These explanatory videos must be short and precise. In IOS play store app videos are the auto play that means more people will engage with your video. Therefore preview videos are a great way to increase traffic. You have to select a primary category that best describes your app. Selection of the wrong category will definitely cause a negative impact on your app and it will reduce your organic traffic. App logo is the first thing your user will notice so you have to select a simple and convenient app logo that reveals details of your app. Positive reviews play a crucial role in deciding the future of an app. Nowadays folks will read reviews before downloading an app. They will download the app that has more positive reviews. Therefore encouraging positive reviews will be the best tactic you can apply for app marketing. Another important factor you have to consider is app localization. Localizing your app will definitely increase your app visibility and in turn, it will result in increased downloads. Screenshot galleries have tested at least once in a month. You can optimize the orientation of your screenshot gallery with landscape mode, hybrid mode, and portrait mode. Each mode has its own advantages and disadvantages. Like search engines, play stories are also dynamic. They will change their algorithm frequently. So you have to re-evaluate your apps regularly to find out any problems occurs due to this change.